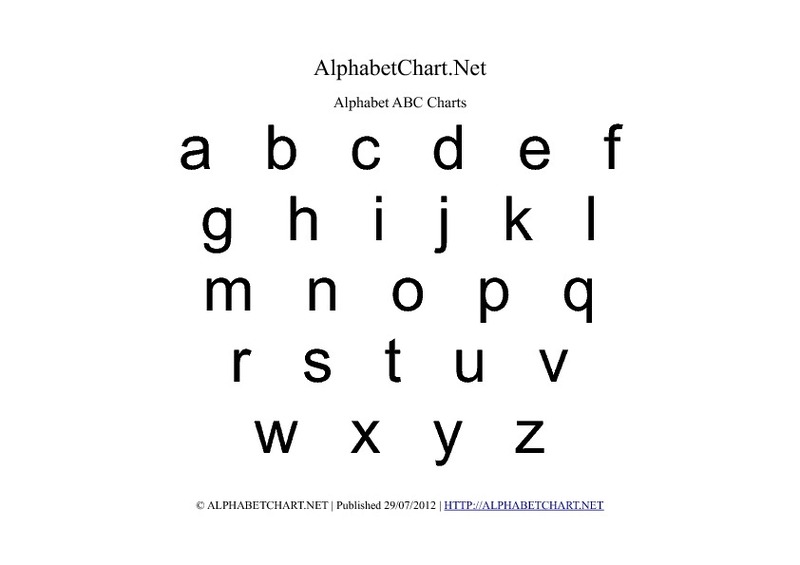 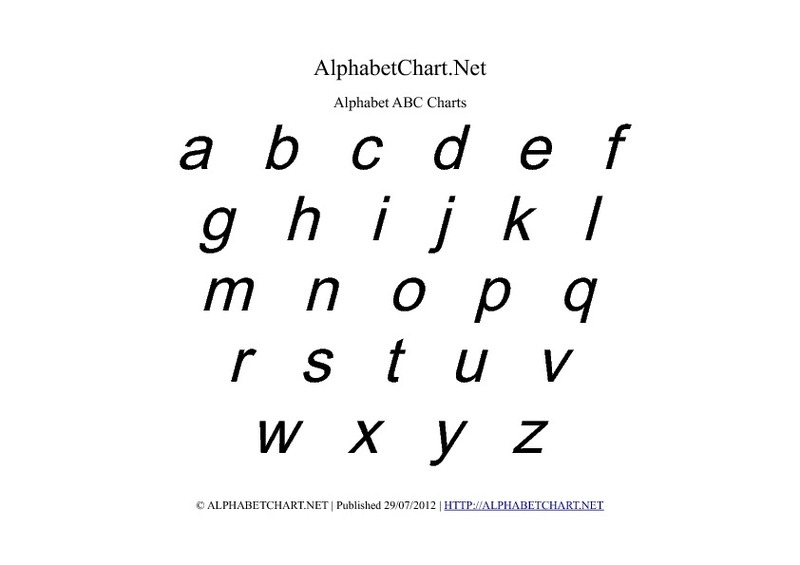 4 charts in multiple formats with 26 alphabet letters per chart. 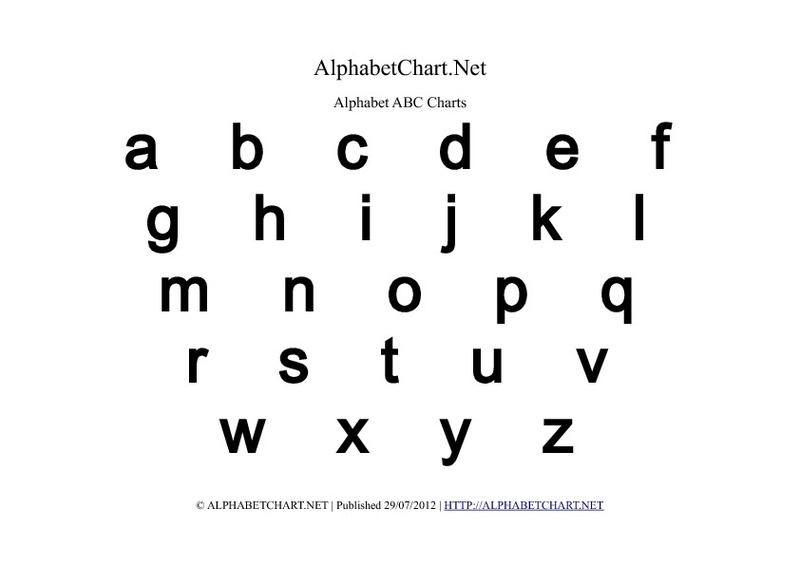 Letters of the English alphabet from A to Z. 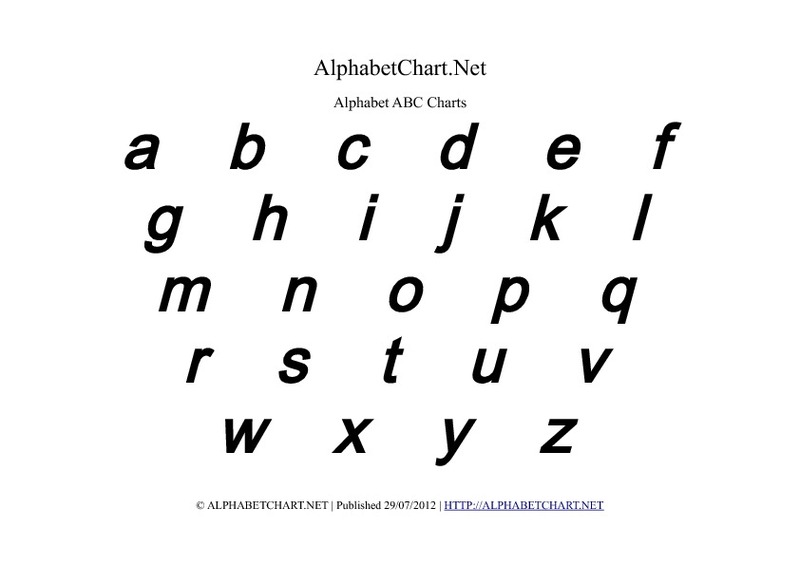 Normal / Bold / Italic / Bold & Italic.